This galaxy – nicknamed ‘little lion’ – contains the lowest level of heavy elements ever detected in a gravitationally bound system of stars. Galaxy AGC 198691 (nicknamed Leoncino, or “little lion”) taken by the Hubble Space Telescope. 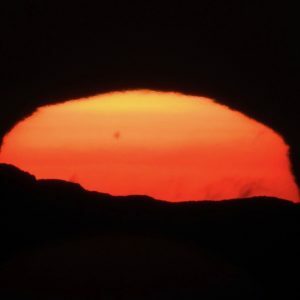 Image via NASA; A. Hirschauer & J. Salzer, Indiana University; J. Cannon, Macalester College; and K. McQuinn, University of Texas. Most of the visible stuff of our universe – stars, galaxies, interstellar clouds – is in the form of hydrogen and helium. Astronomers use the word metals when speaking of all elements except hydrogen and helium. Astronomers at Indiana University at Bloomington say they’ve found the most metal-poor galaxy ever, a faint blue galaxy only 30 million light-years from Earth and located in the direction of what we see as the constellation Leo Minor. They published their study May 12, 2016, in the Astrophysical Journal and say this galaxy could provide new insights on the Big Bang. Finding the most metal-poor galaxy ever is exciting since it could help contribute to a quantitative test of the Big Bang. There are relatively few ways to explore conditions at the birth of the universe, but low-metal galaxies are among the most promising. The elemental make-up of metal-poor galaxies is very close to that of the early universe. To find these low-metal galaxies, however, [we] must look far from home. Our own Milky Way galaxy is a poor source of data due to the high level of heavier elements created over time by stellar processing, in which stars churn out heavier elements through nucleosynthesis and then distribute these atoms back into the galaxy when they explode as supernovae. View larger. 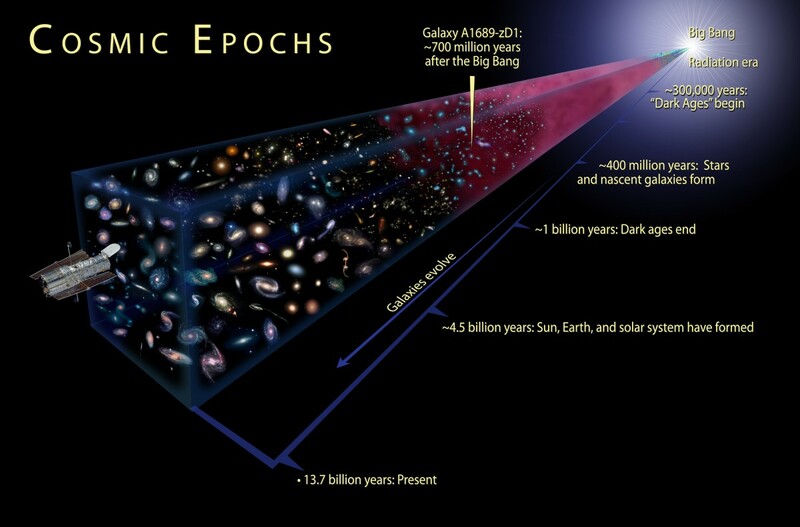 | This is an illustration showing the cosmic epochs of the Universe from the Big Bang to the present. Image via ESA. 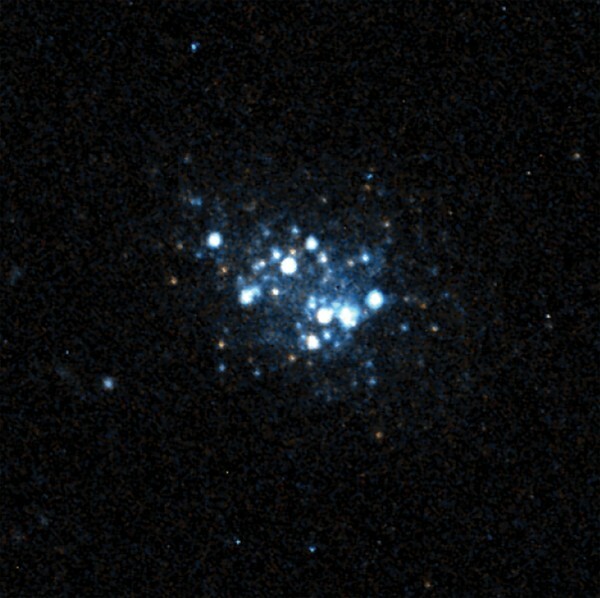 A galaxy previously recognized to possess the lowest metal abundance was identified in 2005; however, Leoncino has an estimated 29 percent lower metal abundance. We’re eager to continue to explore this mysterious galaxy. Low-metal-abundance galaxies are extremely rare, so we want to learn everything we can. View larger. 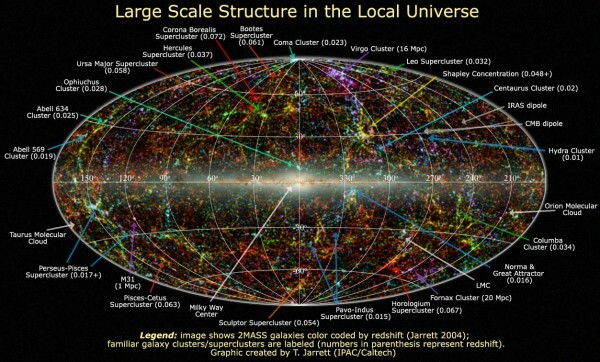 | In 2011, astronomers released this map of a portion of the local universe, out to about 380 million light-years. The ‘little lion’ galaxy is only about 30 million light-years away. Read more about the local universe. Bottom line: AGC 198691 – nicknamed Leoncino, or little lion – contains the lowest level of heavy elements – that’s all elements besides hydrogen or helium – ever detected in gravitationally bound system of stars. Astronomers say it should provide tests of the currently accepted model of the Big Bang.